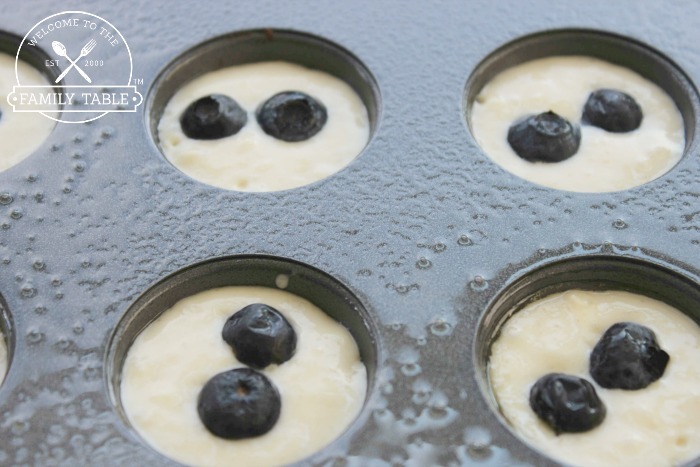 Blueberry pancake bites are a total craze in our house. If your family is anything like ours, then blueberries don’t last long. 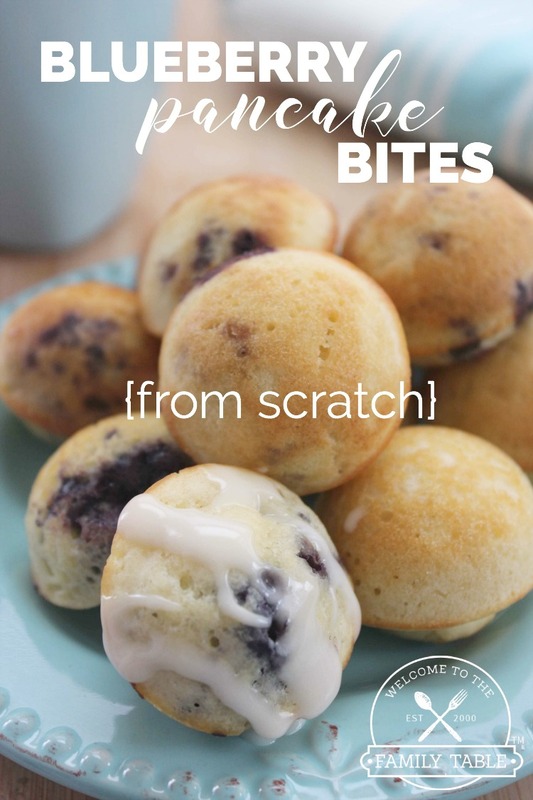 We love the taste of blueberries and stick them in anything we can think of – and breakfast time is a fun way to incorporate them for us. 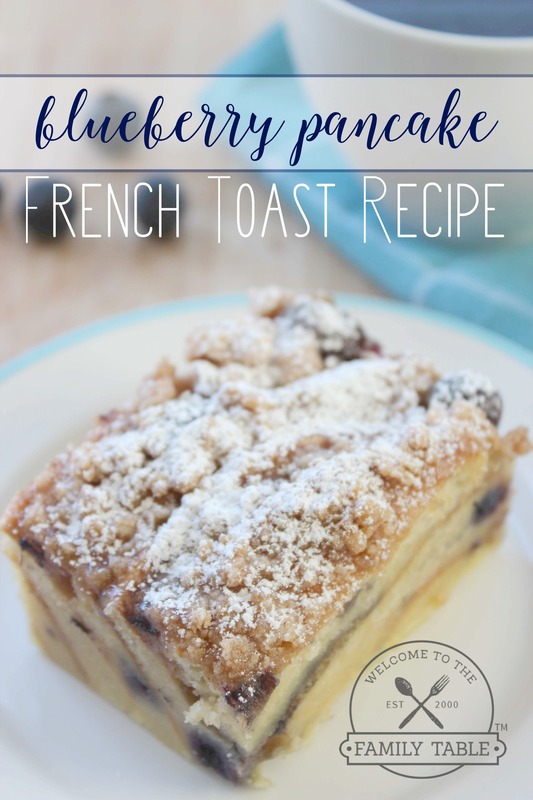 A little while ago I shared a recipe for our Scrumptious Blueberry Pancake French Toast Bake and today I am sharing our blueberry pancake bites. I assure you, these are to die for! 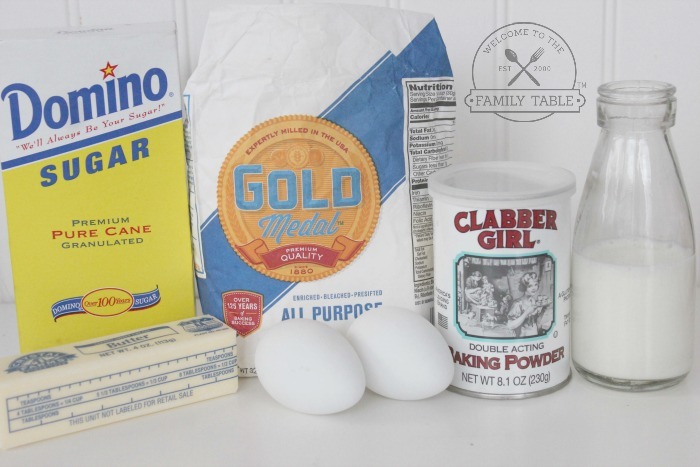 Simple, easy, and from scratch – these goodies are sure to be a big hit! TIP: We make 4-5 batches of them and freeze them for the children to easily access throughout the week 🙂 Easy peasy and super frugal! 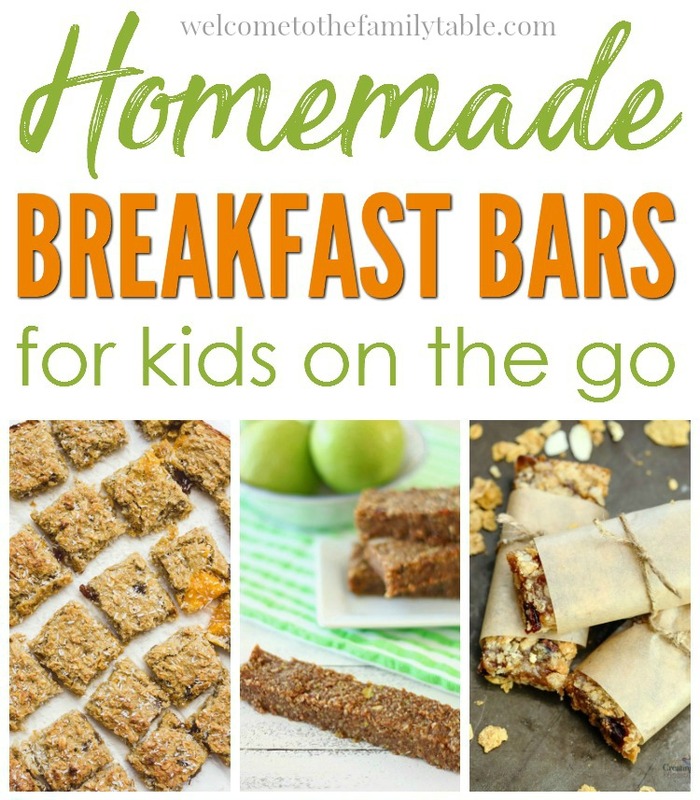 So my kids are obsessed with Little Bites, but they’re so darn expensive. Going to try these and see if it works for them, lol. Thanks!